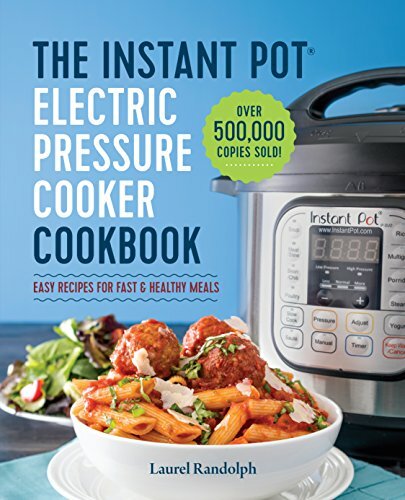 By now just about everyone has heard of the Instant Pot craze, and you may be in the market trying to decide if this is something you need. Read on for our review of the Instant Pot DUO60 Programmable Pressure Cooker, the number-one selling pressure cooker on Amazon, and find out why you need one! Everyone likes to eat, but who has time for cooking, right? I’m all in for any kitchen appliance that makes cooking faster, smoother and more enjoyable. Instant pressure cookers come in a variety of different shapes, sizes, and colors, but how do you choose the one that best fits your needs? Particularly if you have limited storage space, you need each and every kitchen appliance to be multi-use. That’s where the Instant Pot DUO60 6 Quart 7-in-1 Multi-Use Programmable Pressure Cooker comes in to save the day! Features: This pressure cooker has some amazing features including being the latest generation in the number one selling multi-cooker DUO series. This pressure cooker has a lot of helpful time-saving, custom features, including improved usability over first-generation cookers. What’s So Great About this Instant Pot? When you’re in a hurry, the cooking time of this pressure cooker is up to seventy percent faster than other cookers! This can really save you time! Your meal can be just minutes away with the advanced microprocessor controlled 14 programs. This can really take all that guesswork out of your cooking, helping you achieve awesome meal results every single time! This cooker even has a temperature monitor that will keep your food from burning! This pressure cooker puts the focus on safety. It is UL certified, with 10 safety mechanisms to provide peace of mind during use. The Instant Pot is also highly energy efficient and puts out absolutely no steam while cooking. Furthermore, it holds in all the cooking smells while it’s working, so you will not have to deal with unwanted food smells. All components of this pressure cooker that come into contact with the food are healthy, food-grade 304 stainless steel. This includes the lid, the inner pot with a 3-ply bottom, and the steam rack with the handles. The cooker is fast and easy to clean, with the cooking pot, lid and steam rack being dishwasher safe! Some early Instant Pots had a few issues with the lid not sealing properly. There were also some reports of cookers dying after a short period of use. The Instant Pot DUO60 6 Quart 7-in-1 Multi-Use Programmable Pressure Cooker is a 3rd-generation device, meaning the manufacture has tweaked and perfected previous flaws, resulting in a high-quality, reliable device with thousands of 5-star customer ratings! There can be a bit of a learning curve with the Instant Pot, but with a little time and practice you’ll soon be a pressure cooker pro! Be sure to pick up a cookbook (see our favorite below!) to use with your Instant Pot. There are several great ones from which to choose. Is it a Great Buy? If your goal is having a multi-function kitchen appliance that takes the place of several single-use appliances, then this is truly a bargain! When the Instant Pot DUO first came out on Amazon in December 2013, it ranged in price around $132.00, where it stayed until late 2015 when it dropped down a bit. Now the price hovers around $100, so if you see it for less than that, that’s the time to buy! 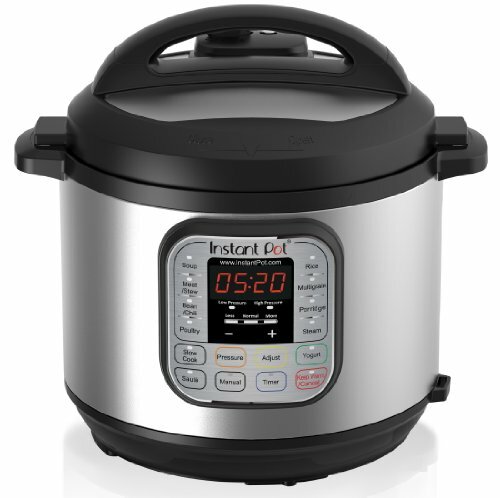 We highly recommend the Instant Pot DUO60 6-Quart 7-in-1 Programmable Pressure Cooker. To save you time, money, and headaches in the kitchen, the Instant Pot fits the bill!